There are several details of a wedding that guests will remember the most, with the food on your menu being one of it. 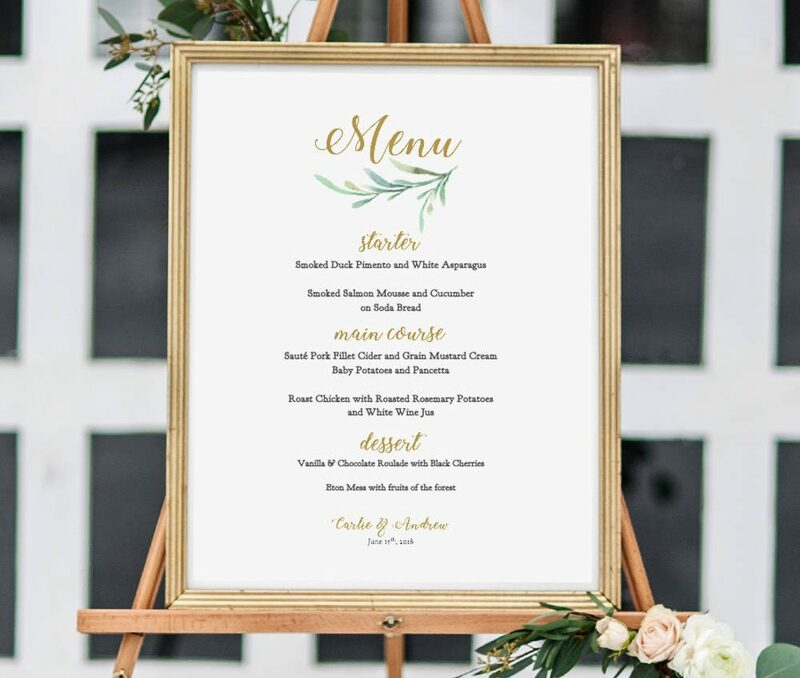 But a wedding menu is quite different from the regular food menu, as only the couple hosting the reception are well aware of how much each meal would cost. 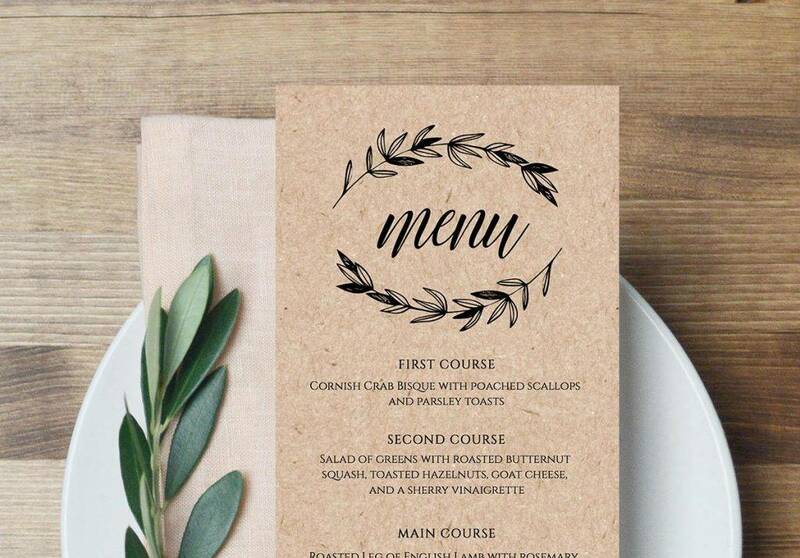 You must be wondering, so what’s the purpose of a wedding menu then? 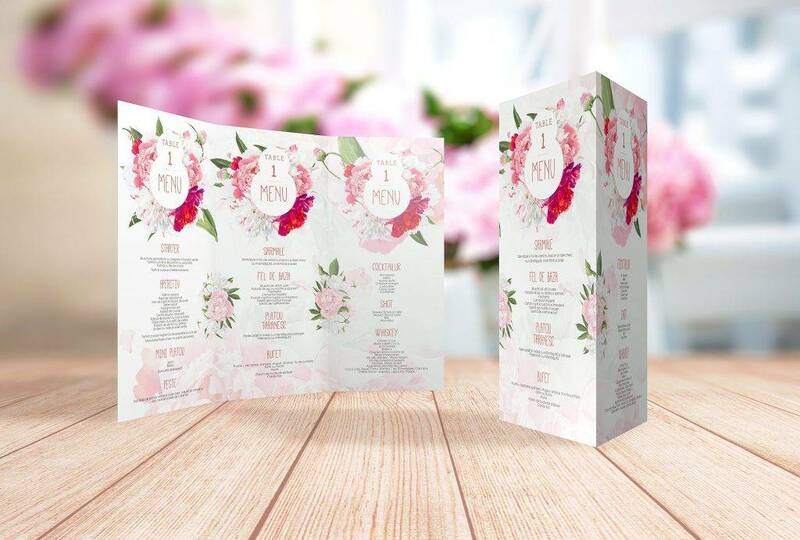 For a wedding menu, the main focus is on the menu design. Like every other element of a wedding, the menu highlights the essence of the event. 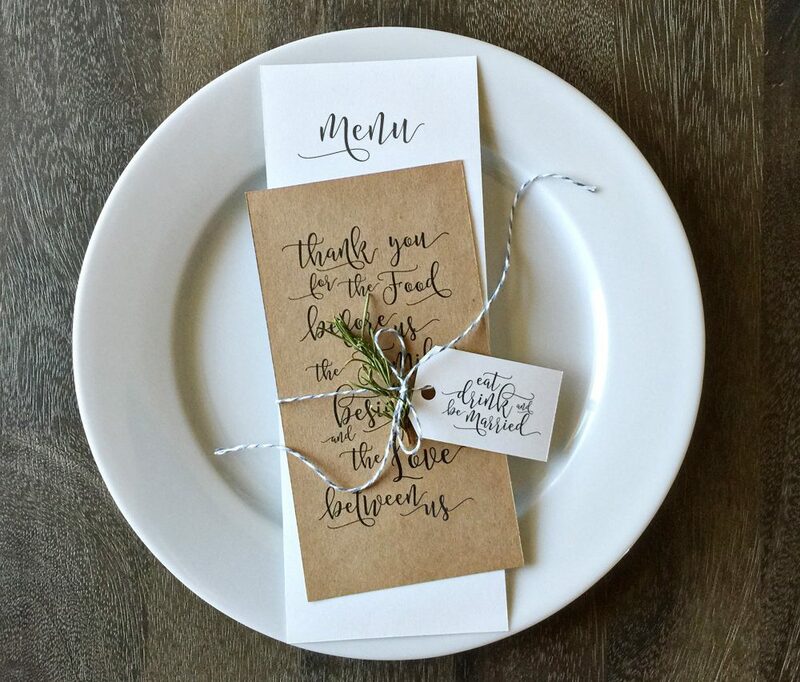 The design stays true to the theme of the wedding, allowing guests to feel extra festive, and a little more excited about the food they’re about to devour. There are different ways a couple could organize their wedding reception, with food and drinks being the center of attraction for guests to enjoy. But considering your venue and budget, you may want to think twice about what’s on the party menu. Sit-down dinners are ideal for couples that want to celebrate their wedding reception in clubs, ballrooms, function rooms, and the like, while still staying on budget. Here, the couple will have a thorough discussion with their caterers before the big day on the different dishes that shall be served per course. Guests are also given their own copy of the menu as reference. As for the quantity for each food serving, this would depend on the number of guests seated per table. This is perfect for individuals who would rather relax and wait for their meals to come to them, than wait in long lines for their turn. But where there are pros, there are cons. One disadvantage about sit-down dinners is the limit of food options. If you think about it, you aren’t given much freedom to choose what lands on your plate. For individuals with strict diets or suffer from some of the most common food allergies, sit-down dinners won’t be as fun. Couples who want to serve multiple entrées to wedding guests might want to consider having a buffet for their reception. Similar to a sit-down dinner, you’re given a list of dishes for the program, which is often categorized into different sets. While some sets are pre-made and may not be altered in any way, there are other caterers that allow customization in their menu items. You could offer several dishes and platters of choice, where the main focus is on providing a wide variety of options for guests to choose from. Dishes in this type of dining are typically labeled with their respective name and description. 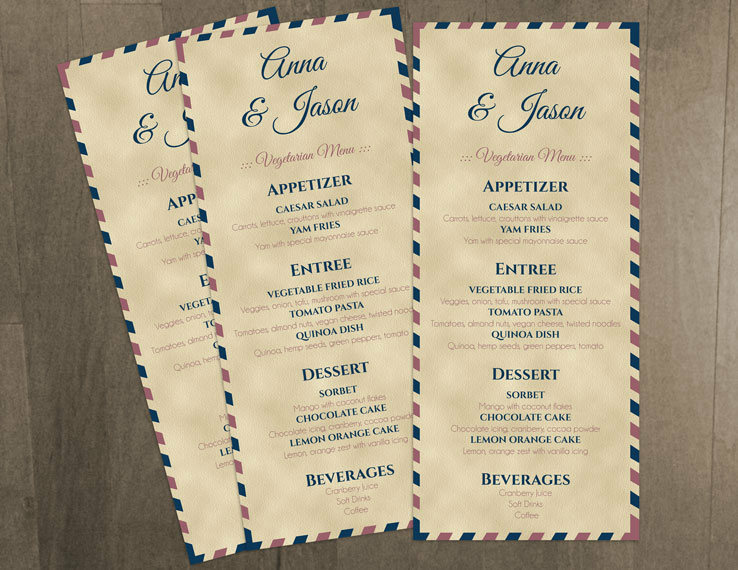 The menu may even be showcased at the start of the line, just to give guests a glimpse of what’s in store for them. However, buffets can be quite costly, especially if you allow guests to make multiple trips to the buffet table. If you want to control this to prevent anything from getting out of hand, you could always situate servers in each station. As for the issue of waiting lines and a longer dinner time caused by a large number of guests, it would be best to put buffet tables in different corners of the room. If you want to keep your wedding reception as simple as possible, then you can never go wrong with a good cocktail party. Not only will this save you from spending a lot of money on a single night, but it could also keep the party short and intimate. Guests can enjoy a few drinks and catch up with old friends and relatives, all while the soothing sound from the DJ booth plays. Since it is a cocktail party, guests are given the freedom to choose from a menu of mixed drinks, if they’re of legal age that is. The hosts may also offer a few snacks to keep the energy alive throughout the night. Although a cocktail party may be fun and inexpensive to have, it isn’t designed for those who seek for the traditional type of reception. Since the party typically starts at around 8:00 p.m. and the ambiance isn’t fit for a formal program, you can say goodbye to the romantic first dance as a couple, along with the tear-jerking father–daughter dance. Ask yourself, if a restaurant didn’t have a menu, would you even know what to order? Without the existence of menus, it might as well be a hopeless guessing game of asking the waiter if they have a particular dish available at their restaurant. 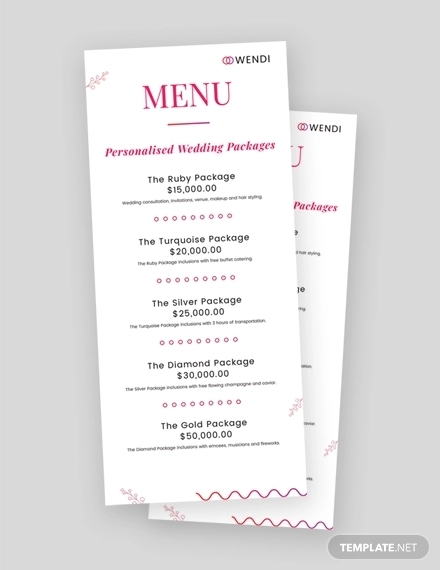 Generally, menus serve as a means of communication between the establishment and their customers. Imagine if a cafe menu never came to be, we all might end up ordering the same cup of joe every time, not knowing that lattes and cappuccinos were even an option. Apart from enticing customers with scrumptious menu items, a menu can also be quite informative. It showcases bits of information that are significant enough for a customer to know about. For instance, the description of each item provides an idea of the texture and flavor of a given dish, making it appear even more promising in the eyes of a customer. Most fast-food joints even have a professionally shot image for each of their meals offered. You have to admit, the price list can be a lot of help as well. After all, you don’t want to end up spending more than you should for one full meal. So with the description of the dish and its corresponding price on full display, it would be easier for customers to decide on what to order. Decide on a look for your menu. 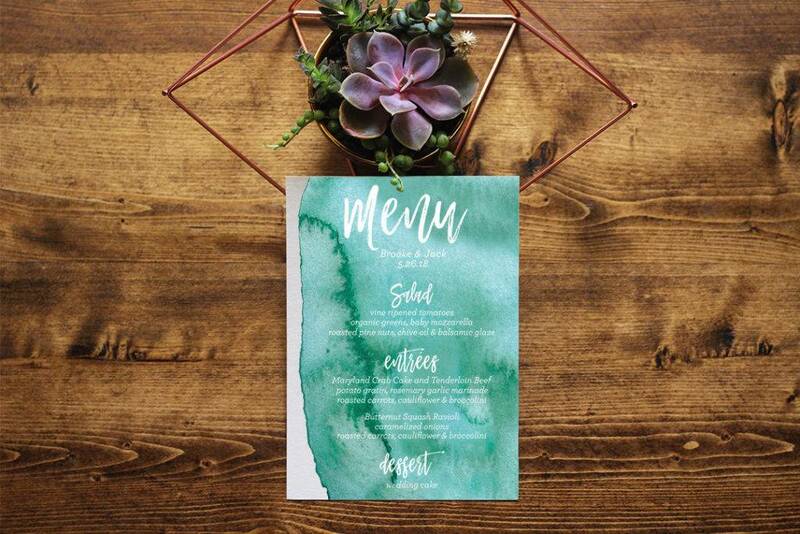 While the content of your menu might as well be the most important element of all, this doesn’t mean you should disregard its overall appearance. Knowing that the menu plays an essential role in marketing, you need to consider the look and feel it gives your audience. 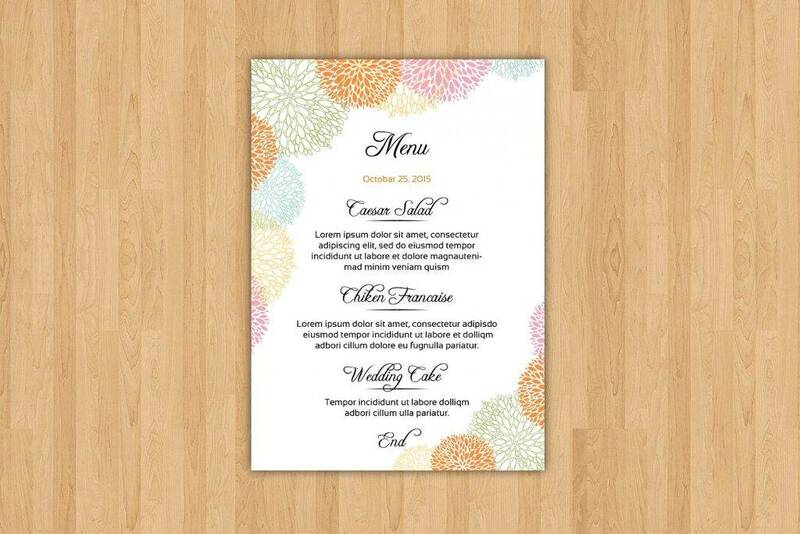 This includes the patterns, colors, images, and typefaces you use to design your wedding menu. It would be best to go for a theme that reflects the identity of the couple being celebrated, so it might be necessary to consult the bride and groom before you start doing anything dramatic. Focus on flowers. Why? For one thing, the visual concept of a wedding almost always revolves around flowers. That being said, you might want to take a cue from the various flower arrangements the florist has planned. The goal is to create a wedding menu that ties perfectly with the setting on each table. However, you don’t want to go overboard with this, either. The menu should blend with the various wedding decors, not overpower nor clash with anything in view. Keep it neat and clean. Regardless of the menu you’re making, even if it’s a pizza menu, you’d want to keep the layout as clean-cut as possible. Dishes must be categorized accordingly, following proper alignment and leaving enough space in between each item. 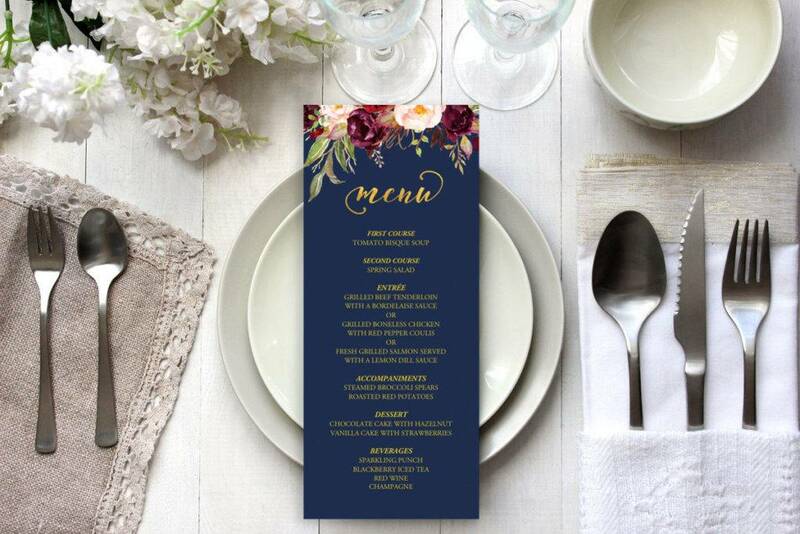 A wedding menu is meant to be elegant, but that shouldn’t be a reason to fill the whole thing up with flowers, swirls, and curves just to stay on theme. You need find a proper balance with your design in order for it to appeal to guests. Add a wedding logo. What better way to further celebrate the union of two individuals than to showcase their initials on the menu? Some couples like to design a wedding logo for their big day to make it extra special. This could either be an icon or a monogram with their names on it. While this works perfectly by itself, you can still add other design elements to attain a better look, just make you don’t upstage the logo. Design wisely. 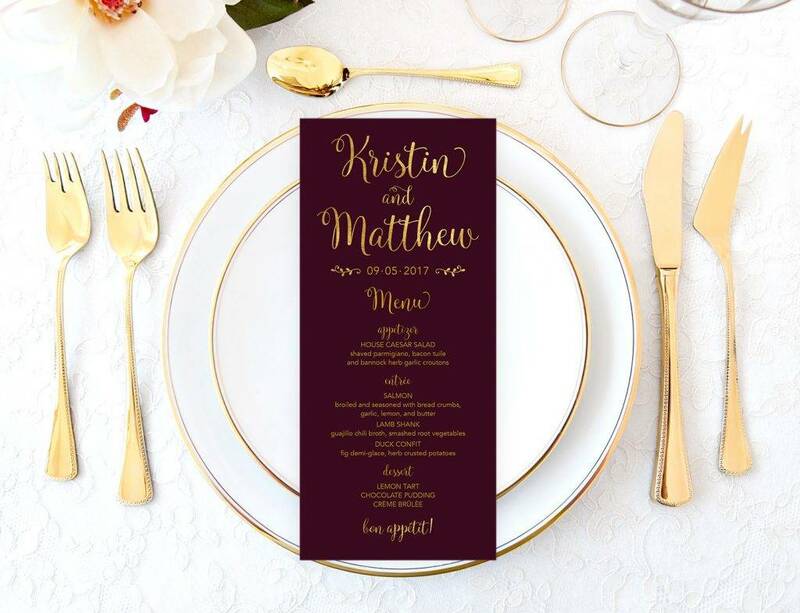 With a wedding menu, it’s all about keeping it personal. You don’t have to be cliché with your design, nor is it necessary to keep it literal to its purpose. When a wedding menu is strategically displayed on a table, it’s seen as nothing more than a decor. Some might read it, others may not. This is why you need to focus on making it attractive enough for one to take notice of. 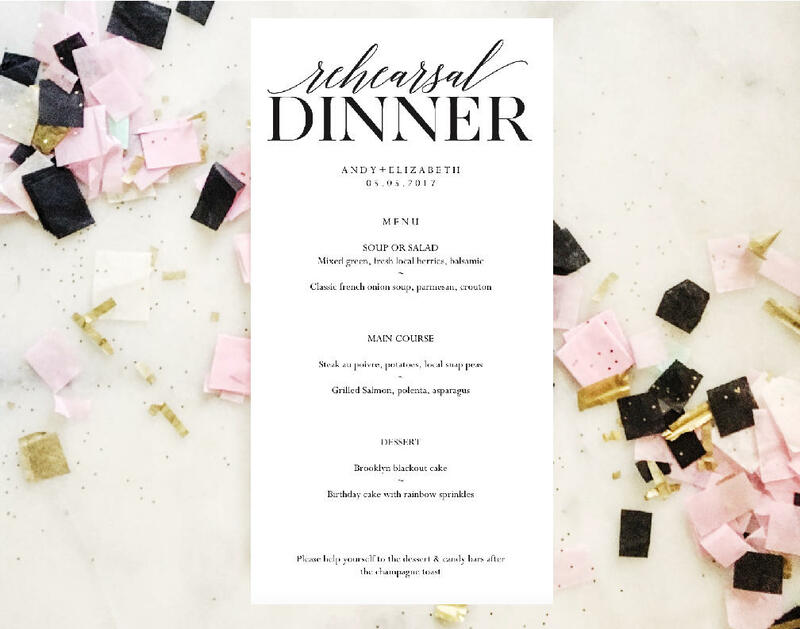 With all that’s going on with your life―dress fittings, rehearsal dinners, meetings with the event organizer ― try not to stress too much on your wedding menu. It might be one of the highlights of the celebration, but it’s nothing compared to the wonderful union of two souls. What matters most is that you’re happy with your menu, contented with how things are going, and ready to welcome a new chapter in your life.